Here are some salient points regarding the CREPAS x OceanicTime HS PROJECT that should hopefully address most of your questions. SIZE matters! 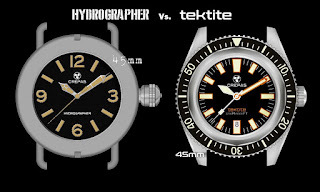 Indeed, so for clarification: the Hydrographer will have a case and bezel diameter of 45mm. For reference the original Longines HS Watch had a diameter of 51mm. 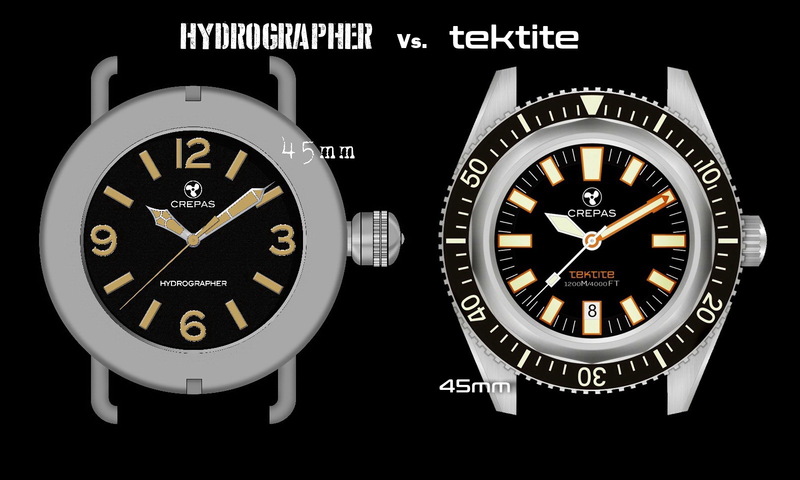 45mm is the exact same diameter as one Crepas’ most celebrated divers, the TEKTITE. 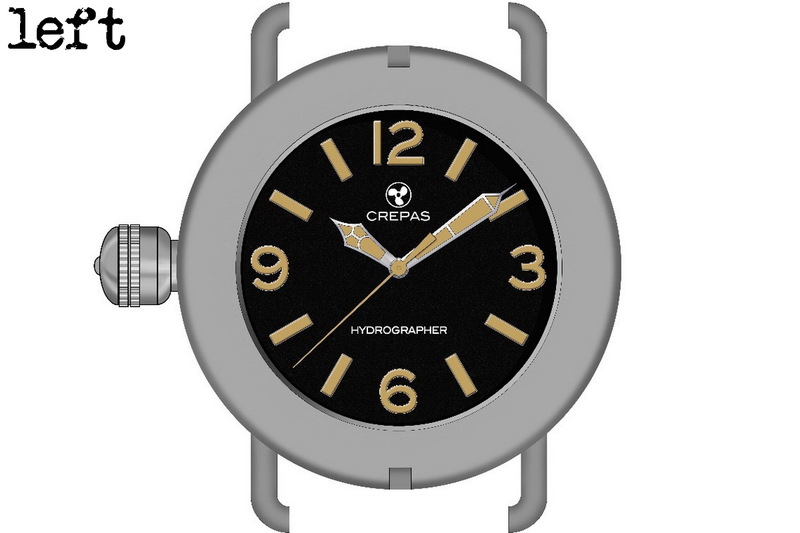 Some comparisons renders are within this post including an overlay of both watches. The CROWN is understandably one of the most controversial features of the HS. 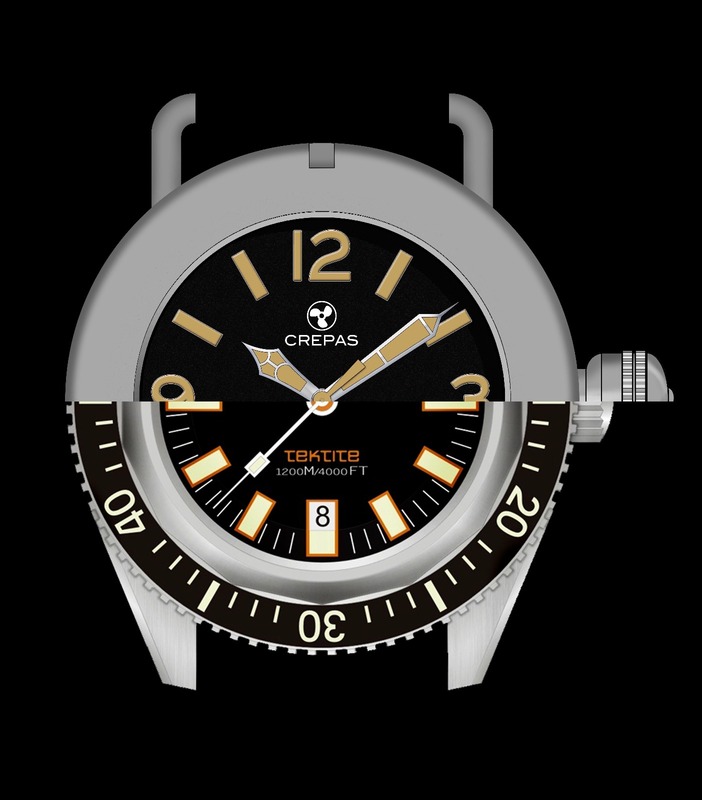 A balance had to be found between the massively oversized canteen-style crown of the original and that of an everyday diver’s watch crown. Lose the oversized crown altogether and the HS was in danger of compromising much of its charm and character. Fully retaining the design of such a frightful-looking crown would have made for a watch that was impractical for everyday wear, becoming a hindrance on the wrist. The HS’s a crown measures 9mm in length with a diameter of 8.50mm. 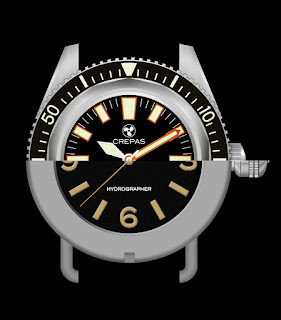 By comparison a typical diver’s watch has dimensions in the region of 5.50mm long by 7.50mm in diameter. 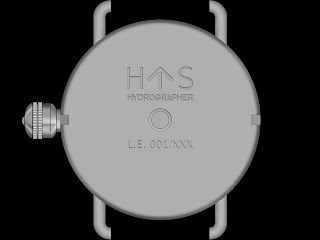 The Hyrographer’s crown is solid Stainless steel. It does NOT use a canteen-crown system. 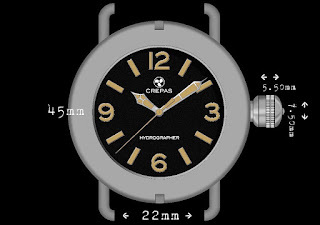 The Hyrographer’s bezel is modeled closely on the original watch’s and thus has 2x notches opposite each other. It is a unidirectional bezel that turns towards the left. 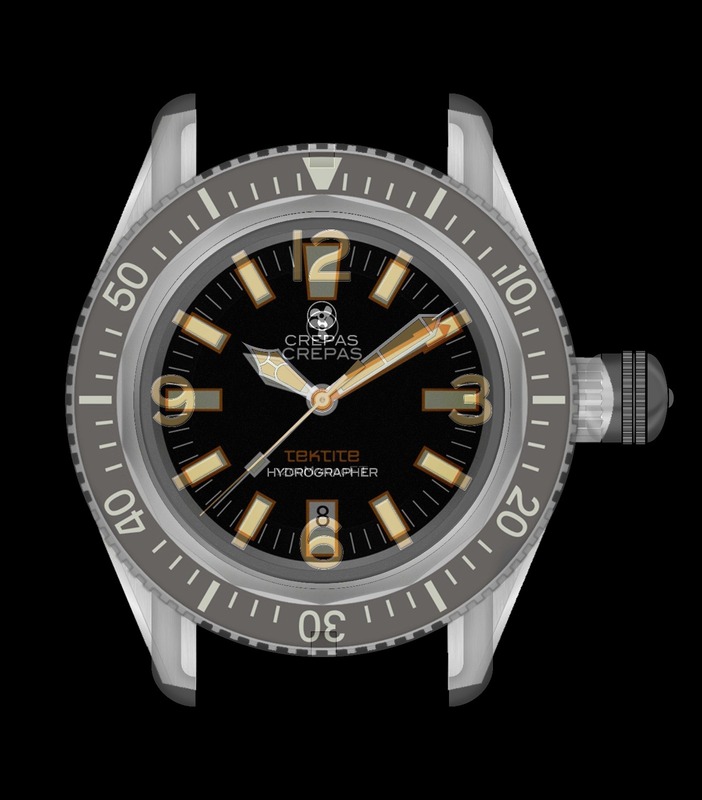 Obviously the bezel lacks a modern dive-time scale however it functions in a similar (infinitely better) manner to the original; theoretically you could use it to time your own manned-torpedo missions from the safety of your bathtub. Stay tuned for a possible DLC bezel option. STRAP it on! The straps of the HS will be able to be changed just like any other regular wristwatch as its 22mm-wide lugs will accommodate sturdy spring-bars. 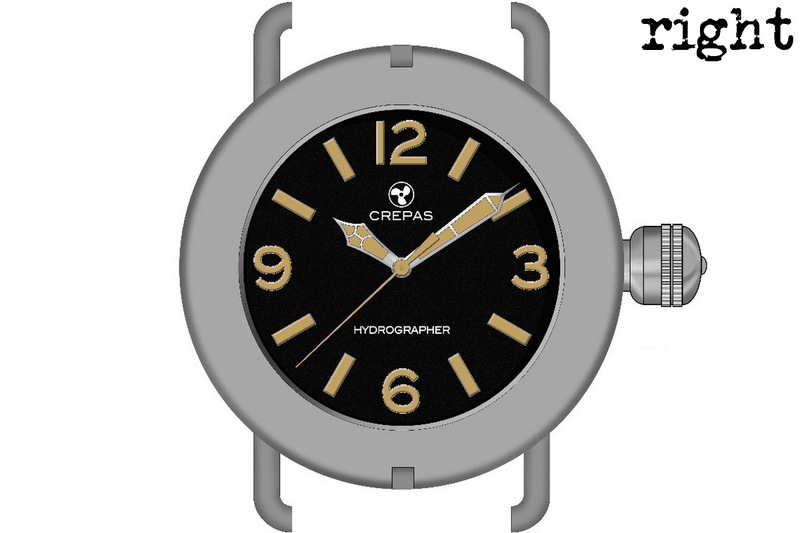 It will come on an individually tailor-made handmade leather strap by Spanish master-strap-maker, Jacob Straps. Stay tuned for a special military-style striped NATO for the HS. Go LEFT – go RIGHT. 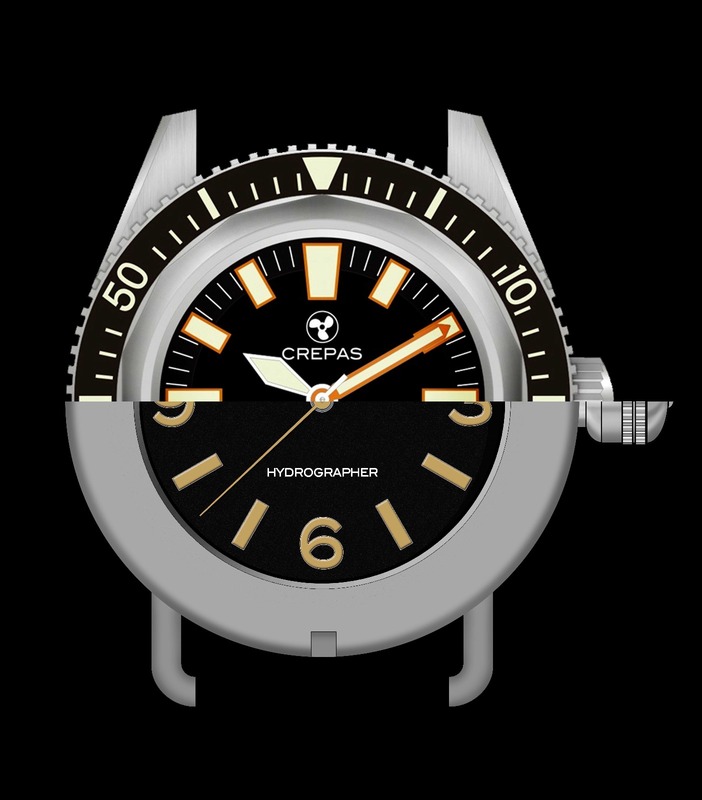 The Hydrogrpher offers the choice of either a traditional 3 o’clock crown placement or a military-style left-handed option for comfort. The choice is yours! 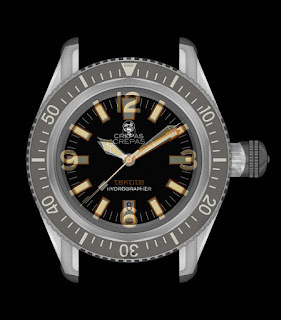 the DIAL of the Hydrographer will be matte black and texturized, similar to those found on the Seahawk II from GP. Its markers are in vintage-orange SLN reflecting its heritage – however they will glow bright green. its thick Sapphire CRYSTAL will have polished sides. 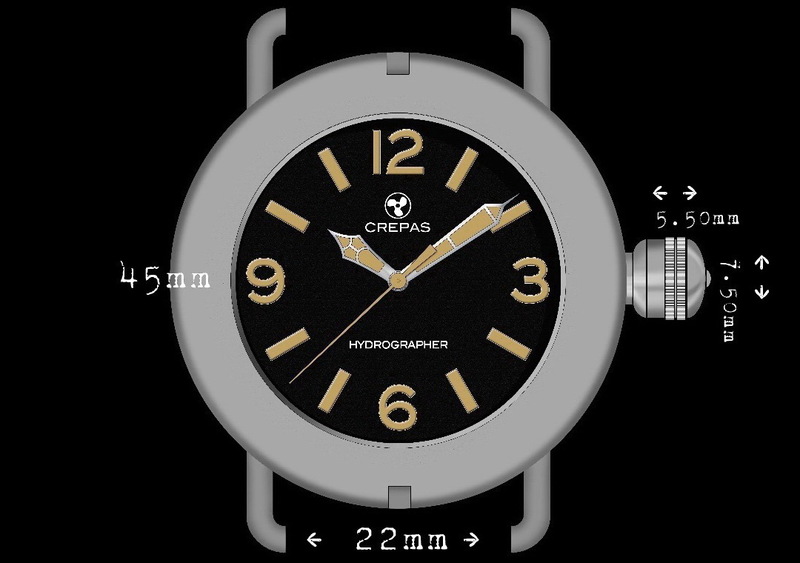 The Hydrographer will have a SWISS made and modified in Switzerland ETA 2892-A2 mechanical movement. The reason behind the modification is so that the crown-stem can have just two positions: position 0 for manual-winding and position 1 for time-setting. This means that stem position for setting the date will be removed, so not only taking off the date disc, the entire date-system is removed so that the stem has two rather than three positions. The exact movement grade is pending confirmation; it will be either an ETA 2892-A2 Top grade or Elaboree grade. 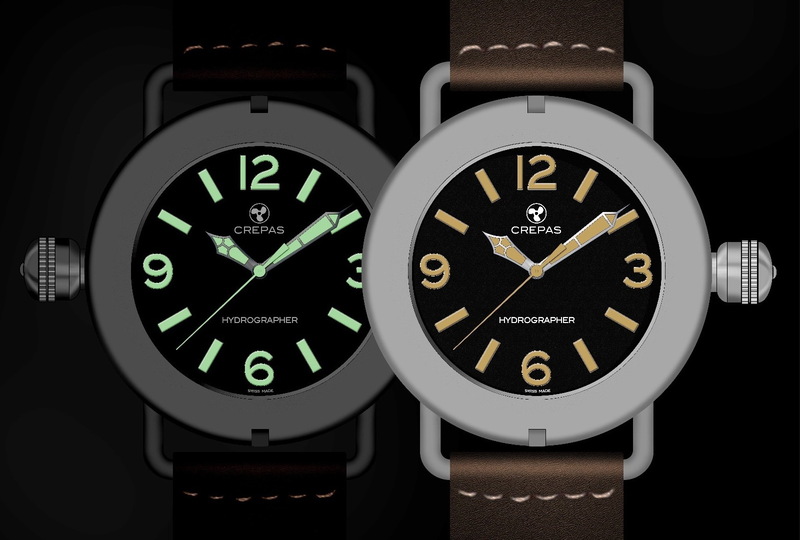 The Hydrographer will be assembled in Switzerland and so boasts ‘’SWISS MADE’’ on its dial. 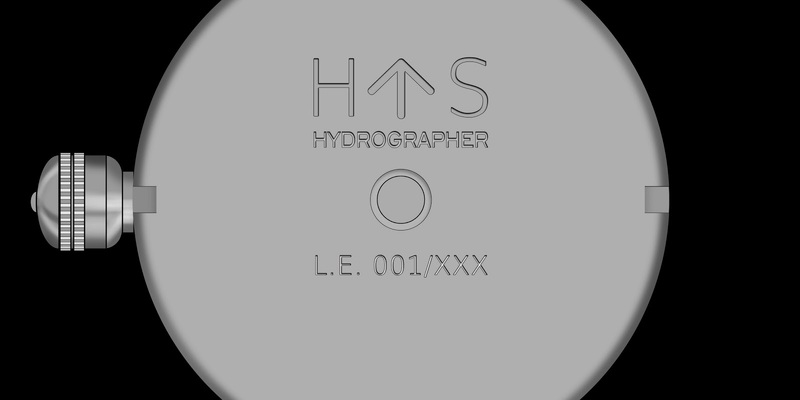 The Hydrographer has a pre-order price of 699 euros + VAT (within EU) for the first 100 customers, ONLY after which its price will increase. Please follow the link HERE to pre-order yours, now.